Fr. Hervé Yepié Abou, SMA, Rector, SMA International Spiritual Center, Calavi, Republic of Benin. 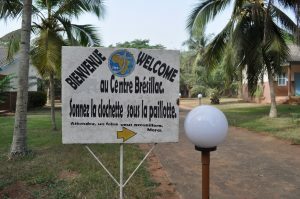 Centre Brésillac (SMA International Spiritual Center) is a formation house of the Society of African Missions. It is located in the town of Calavi, Republic of Benin (West Africa). 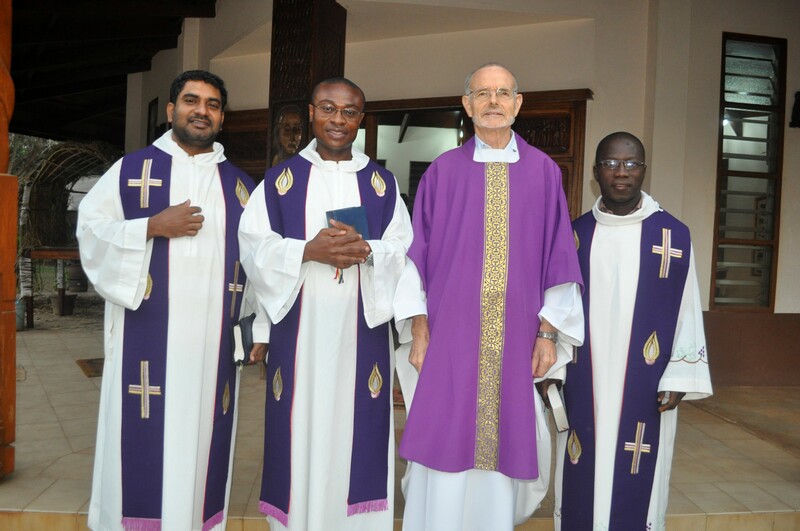 Our International Spiritual Center welcomes candidates to the missionary life in order to help them discern their vocation and deepen their personal relationship with Christ; to reflect, and to enrich their knowledge of the Society of African Missions. In addition to the intellectual and spiritual training, candidates receive a general education that encompasses a program of manual work, sports and leisure. The formators play the roles of both Spiritual Directors and lecturers. With our candidates, we form a community of disciples led by Jesus Christ, the master of our mission to the most abandoned in Africa. It is a joy for me to accompany these brothers who are the future leaders of evangelization and animation of Christian communities. I appreciate greatly our community life and our moments of prayer which strengthen our fraternity. The “international” character is well developed in our formation house. My experience here obliges me to admit that the community is really a wonderful school of life. 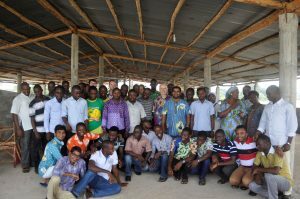 This year, our community has gathered 32 candidates and 4 formators from Benin, Central Africa Republic, Colombia, DR Congo, Ivory Coast, Ghana, India, Italy, France, Kenya, Nigeria, Poland, Tanzania, Togo and Zambia. As French and English speakers, we use both languages but speak the same language, that of fraternal love. We have a common desire, that is, the mission to the most abandoned in Africa. Yes, we educate our candidates to be open to other cultures and to love community life, which is a kind of school of proximity where we are sent to live the message of the gospel: “love of God and love of neighbor”. In other words, to accept the other as a brother, without prejudice and to be a witness and a messenger of Jesus Christ. An aspect of the training at our seminary is to prepare the candidates to welcome their “differences”: differences in terms of character, cultures, age, food, opinions, etc. The Community life is truly a school of life, a place of love and communion where one can be himself, feel at ease and speak freely, because he is sure of being loved and understood. However, living together with others may pose some challenges: misunderstanding, feelings of insecurity, diverse thought patterns, etc. It is in the core of these tensions that the Lord calls us to live the “love of neighbor”. Prayer has a very important place in our being together. The Eucharist is at the heart of our everyday life as well as prayer with the breviary (morning and evening prayers). We alternate between English and French. There are personal times for prayer each day, in order to allow us to meditate on the word of the Lord and to strengthen our intimacy with him. To meditate, as it is said, is to meet God. In our personal prayer, silence prepares us to encounter the Lord, since it is pre-eminently the place where we can touch God. Our candidates appreciate the community life, which draws its strength from prayer. This is a wealth for SMA priests. We earnestly ask you to pray for us, the formators and especially for all these young men who feel the desire to serve God and humanity through the missionary life. May the Lord bless the work of the Society of African Missions and inspire many young people to dedicate their lives to the service of people of Africa through our missionary institute.